VISALIA – Imagine being able to travel from Porterville to Los Angeles without having to drive a car. Or what about going from Exeter to San Francisco without ever boarding a bus. Those scenarios may become realities in the not-too-distant future as the Tulare County Association of Governments (TCAG) continues its development of the Cross Valley Corridor Plan to build a passenger rail system connecting cities from I-5 to Highway 65. TCAG, Tulare County’s transportation authority, will hold workshops on the passenger rail corridor connecting Kings and Tulare Counties on Tuesday, Sept. 12 in Hanford and Wednesday, Sept. 13 in Visalia to review and comment on the alternatives and recommendations of the plan. 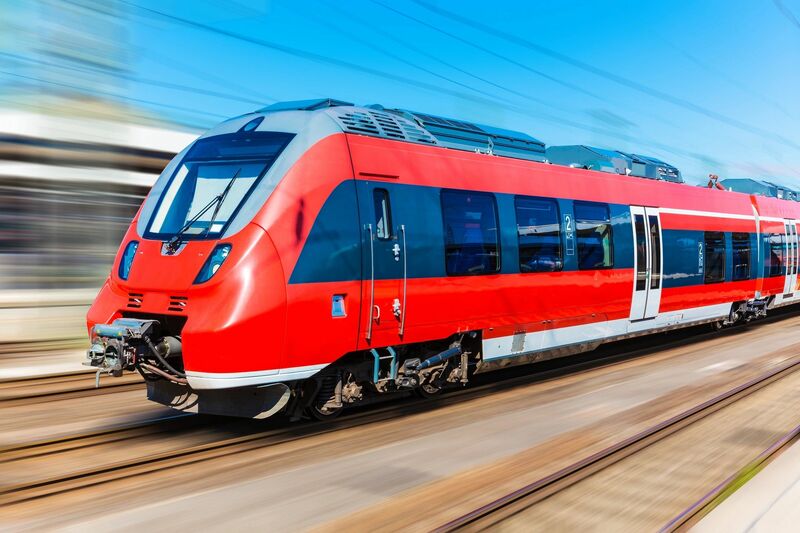 The plan proposes using the existing railroad corridor located between the cities of Huron and Porterville to serve as a regional transit system providing surrounding communities with connected, convenient transit centers and services. In addition, the Plan is considering how the proposed Kings/Tulare High-Speed Rail Station (HSR) will serve as a regional transportation hub to other destinations throughout the State. The more than 80 miles of track will be used to connect residents of Tulare and Kings Counties with the HSR station planned for western Hanford near the intersection of Highways 198 and 43. All of the Cross Valley Corridor Plan’s right-of-way has already been acquired by government entities that are part of the route. Even though the San Joaquin Valley Railroad abandoned its line from Strathmore to Porterville and then pulled up the tracks for scrap metal, the City of Porterville purchased the land to preserve the right-of-way. Stations would be built in Huron, Lemoore Naval Air Station, Hanford, HSR Kings-Tulare Station, Goshen, Visalia, Farmersville, Exeter, Lindsay and Porterville. Because most of the cities were built around railroad stations, the stations would be located in the downtown areas where they can be connected with local transit centers, bus lines and amenities. TCAG is also discussing a new type of diesel engine that will pull one passenger car in front of countless numbers of freight cars on the same line giving the railroad company operating the lines two streams of revenue to make the economics work for both consumers and businesses in the area. Projects like the Cross Valley Corridor are receiving HSR funding to identify, study and implement auxiliary rail projects along the 200-mph train’s route. There are currently 11 work sites in the Valley including Tuolumne Street and Clinton Avenue bridges in Fresno, three overcrossings in Madera County, the Highway 180 passageway and viaducts in north and south Fresno all part of the Construction Package #1. Tulare County’s section of the route, a 65-mile stretch from American Avenue in Fresno south to one-mile north of the Tulare-Kern County line, is part of Construction Package 2-3. That portion officially launched in March when construction crews completed an asphalt overlay on Road 40 between Avenue 112 and Avenue 88 in Tulare County. Milton said more work on this section of the route should begin this fall by Dragados/Flatiron out of its Selma office. The Kings-Tulare HSR station is scheduled for completion by 2026. By 2029, the high speed train will travel from San Francisco to Anaheim with extensions to San Diego and Sacramento in phase 2 of the project. In all, there will be 24 stations on the 800-mile loop. The project has already spent $2.3 billion on the Valley section of the route and 85 small businesses have been hired from the Valley to work on this portion of the route. In addition to supporting planning efforts for the Cross Valley Corridor Plan and the proposed Kings/Tulare High-Speed Rail Station, this planning effort will enable communities and cities in the study area to promote walkable, mixed-use (residential and commercial uses developed together) communities with easy access to public transit, encourage revitalization and economic development, and facilitate growth in the region. The goal of the Plan will be to identify how transportation mobility can be improved using various modes including walking, biking, driving, taking a bus, or riding a train to visit surrounding communities. TCAG and the Project Team are working in tandem with an established Work Planning Team comprised of local agency staff of Tulare and Kings Counties and cooperating cities to complete the Plan. Initial public outreach activities and stakeholder meetings gathered information to develop a vision for the Corridor. Using feedback and the developed vision, a set of station area concepts has been developed, identifying land use, economic, and transportation alternatives and recommendations that will attract growth and employment in the existing city centers, and promote development of other communities within the region. The Project Team has scheduled a series of workshops and pop-up events to allow the public and interested stakeholders to review and provide comment on the alternatives and recommendations. In addition to the workshops, pop-up events will be held at the Hanford Mall, Tulare County Fair, Hanford Thursday Night Market Place, and Riverway Sports Park in Visalia. Additional information on these events can be found at the project web page: www.tularecog.org/cvcp. TCAG Project Manager Ben Kimball is available to answer questions at BKimball@tularecog.org or 559-623-0450.